Jesus and Guadalupe Arroyo were born in a small ranch of San Guillermo in Guanajuato. As a young man Jesus moved his family to the city that never sleeps, Mexico City. By the early 40’s he moved again, this time landing in the small port city of Stockton. Here, they opened their first Cafe in 1946. It was called “El Rancho Grande”. 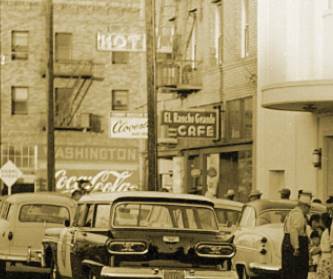 In 1955 they opened the first Arroyo’s Cafe, fondly nicknamed, the “Bean Palace” by many of Jesus’ customers at the 67 North Center Street Establishment. As Stockton grew so did Arroyo’s. First to 29 South California Street, then to 324 South Center Street where it stood for 29 years. In 1999 Arroyo’s established its new home at Quail Lakes. Arroyo’s longevity is thanks to the hard work of people like, Güero Carlos, Pepe Soriano, Chavela Navarro, Jose Luis Cervantes, Paty Lopez, Virgina Ramirez, Sandra Casarrubias, Martha Sanchez, Toño Banuelos, Gloria Aguilar, Gloria Cabrera, Juan Ramirez, Rosie y Claudia, Guille Cardenas, Ramon Vargas, Angel Alcantara, Chuy Villalvazo, Reno and countless others, many who have gone to open their own businesses. 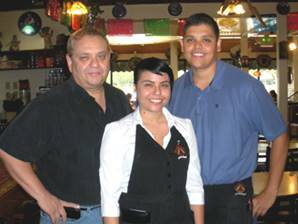 Like a pyramid needing a strong base to continue, Arroyo’s success has come from generations of customers who have dined at Arroyo’s for over 60 years. 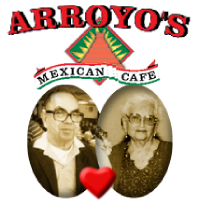 We would like to thank our great patrons for their support of the Original Arroyo’s Cafe. Welcome and we look forward to serving you now and in the future. May you enjoy your visit to Arroyo’s Cafe!